Congrats on the Fairy Hobmother thing! And even more kudos for this recipe - such great flavor! Anything spicy has my name on it, and this looks particularly nice. Thanks for this. I love playing with the ingredients that i have in my pantry and this is definitely one of those dishes that my husband would say, "have you shared this yet?" a.k.a "wow I love this dish!" I definitely will try this. CONGRATS in the Fairy Hobmother thing. Oh this lemon wasabi chicken is delicious! You just inspired me to make this! And what a wonderful gift from your Fairy Hobmother! Congrats and enjoy the gift! You deserve it because you continue to "gift" us, too by sharing your stories & recipes! Happy Mon.! OH I already spent the $50 in my mind haha. I still have to "decide" which book to get, there are so many choices hahaha. I felt like Santa came to town haha. But indeed it was a pleasant surprise. 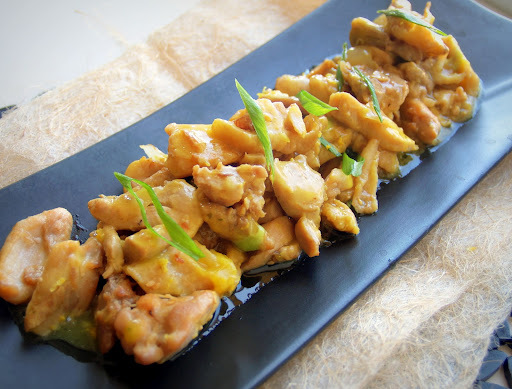 The wasabi chicken looks wonderful - love the touch of heat and that you control it! Congrats on your unexpected gift. Great fun, isn't it? And all for being generous and commenting! i'm so thankful... and it's a lovely way to wake up this way... it makes it doubly special. Great to see you Claudia! Hi Malou-so you finally had a visit from the fair hobmother. I think there is more than one around because, the one that paid me a visit, was a female; I just can't remember her name. It's awesome to get a visit with such a generous gift. With all the excitement, Malou, I forgot to say...Congratulations! Malou, congratulations on your gift! It's always so hard to decide on something when the possibilities are nearly endless! Your lemon wasabi chicken sounds amazing! Congrats on you Fairy Hobmother visit :) And this beautiful chicken dish as well...such delightful flavors! Congrats on your visit and your recipe looks amazing! Congratulations on your visit from the Fairy Hobmother! What a wonderful surprise to wake up too! 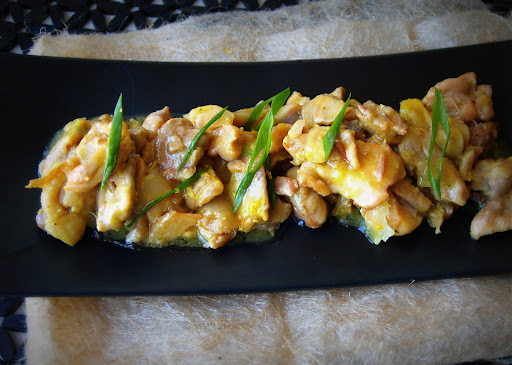 I love to cook and will be giving your Lemon Wasabi Chicken recipe a try in the near future. Thank you for sharing! congratulation for being one of the lucky bloggers visited by Fairy Hobmother. Hope that he will visit my blog, too. sorry about that, no you don't have to saute. all you need to do is mix all the ingredients together and then cook as directed. thank you for bringing it up. i hope you will have a great outcome when you try this dish. good luck.